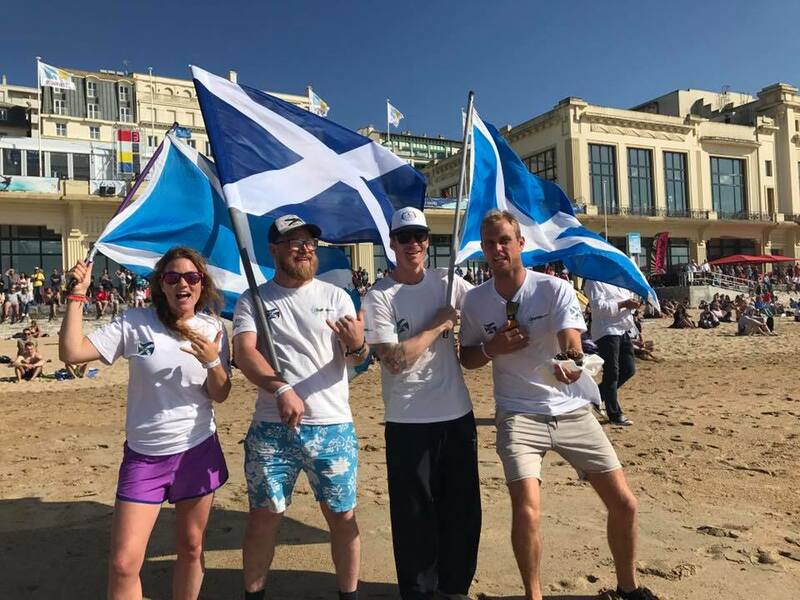 The Scottish Surfing Federation would like to give a huge thank-you to Wavegarden Scotland the official sponsor of Team Scotland at this event and also to the Comm Bar Thurso for their contribution and team uniforms and also to everyone who helped the team on the Crowdfunder – without your support we couldn’t fly the Scotland flag on the world stage. 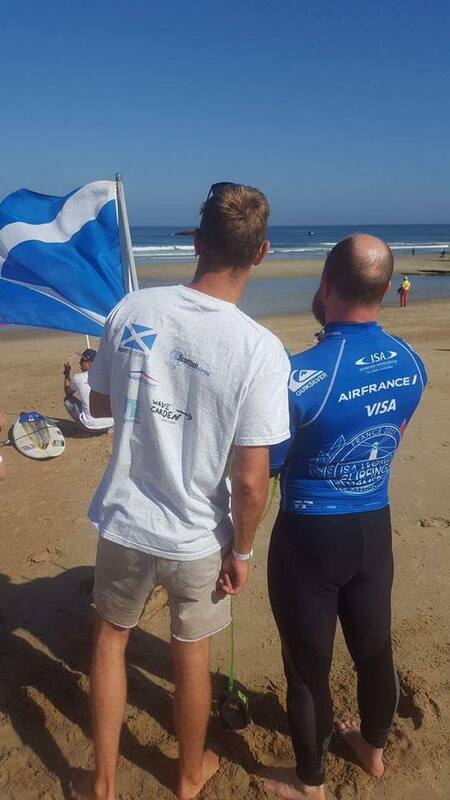 Also thanks to Caithness Sports Council who contributed to each of our North Shore Surf Club athlete’s trip. 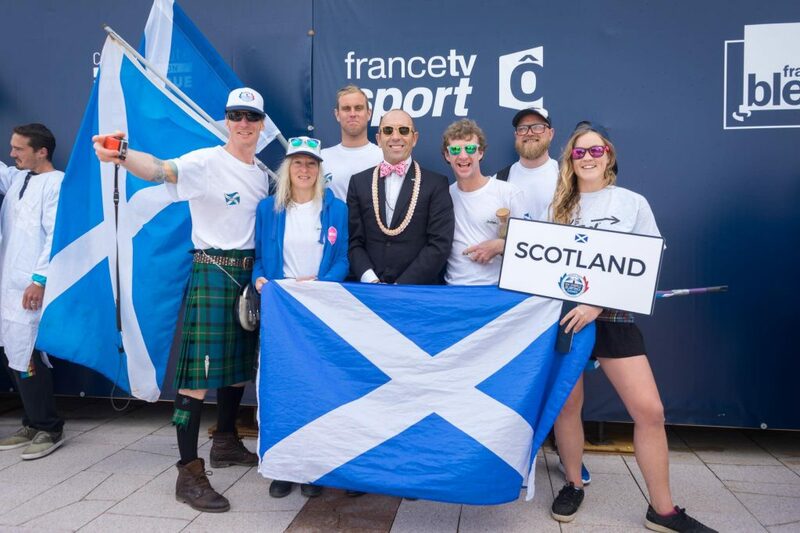 The women’s event took place in the first 3 days of the event window due to the Womens WCT event in Fiji commencing. Shoana Blackadder or Jen Wood were unable to progress through the first round and dropped into the repecharge. 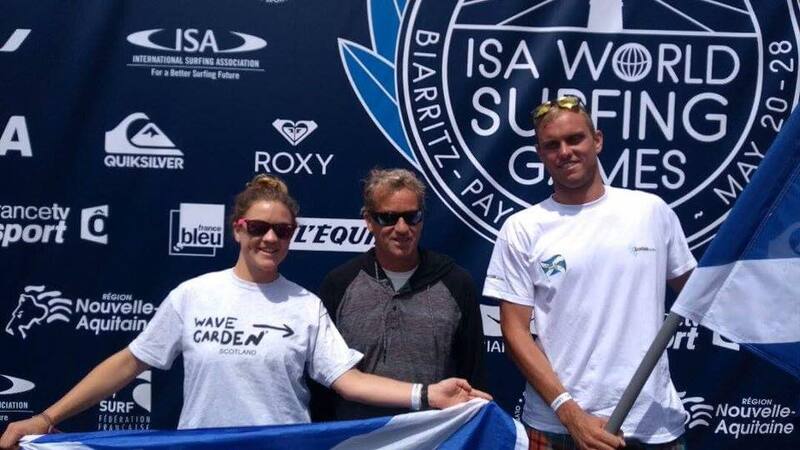 Both women were eliminated in the repechage despite good surfing from both Shoana and Jen. Shoana picked of great, overhead left hand set waves and Jen showed great commitment unluckily falling on a good turn. Womens division was won by Pauline Ado (FRA) followed by Joanne Defay (FRA), Leilani McGonagle (CRI), Bianca Buitendag (RSA). Next it was on to the men – again all 4 men were knocked into the repechage. Scott Main picked off some small lefts and managed some end section bashes in his first round heat but it wouldn’t be enough. But all the men would have another chance in the repechage. was eliminated. Chris Clarke had a nail biting heat – Hartkopp (DEN) was given a priority interference leaving Clarke requiring a 0.78 which then increased to a 1.5 with only minutes left in the heat to get 2nd and progress, Clarke would come up just short as no sets would arrive in time. 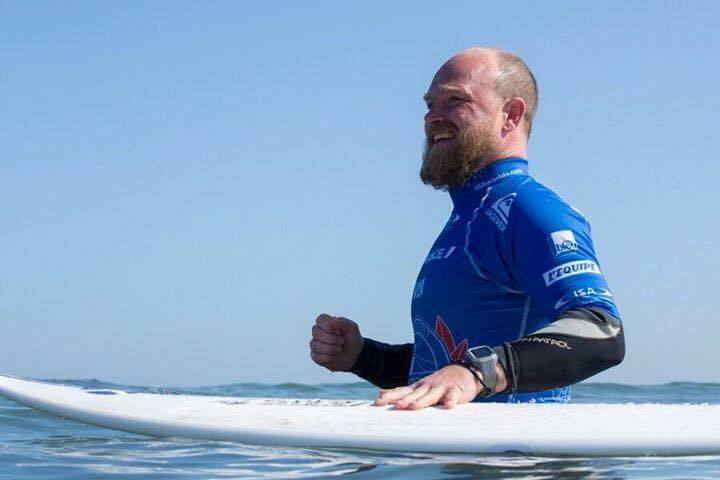 Mark Cameron would find himself in a similar nail biting situation – he started off the heat fantasticly posting a good wave score of a 4.27 with a couple backhand whips, with a backup of a 2.3. With priority and 5 minutes remaining of the 15 minute repecharge Scratch required only a 3 point score to progress which he had proved earlier on in the heat was well within his reach. 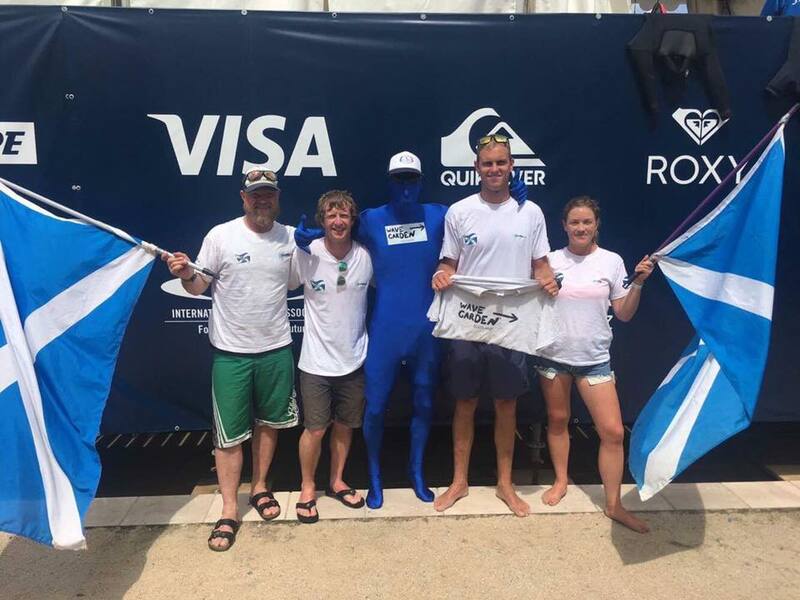 With time dwindling and no sets on the horizon it wasn’t to be for Scratch, with a heat total of 6.57 he was very unlucky not to progress as totals this high were enough to progress in many repechage heats. 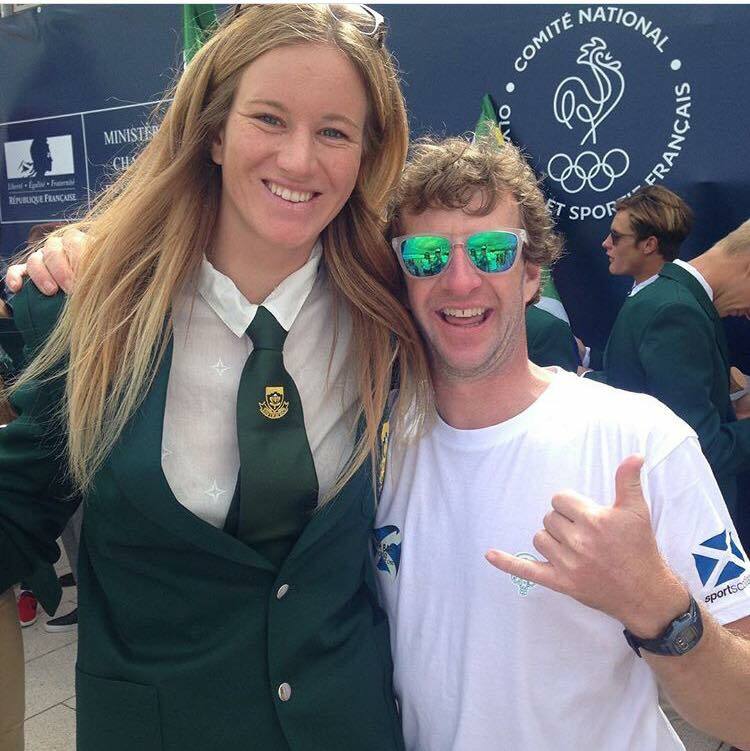 All of Scotland’s hopes were now resting on Mark Boyd’s shoulders. Boyd would surf in the last heat of the day at sunset in waist high conditions. Mark picked off some small running lefts and combined a slash with end section bash. 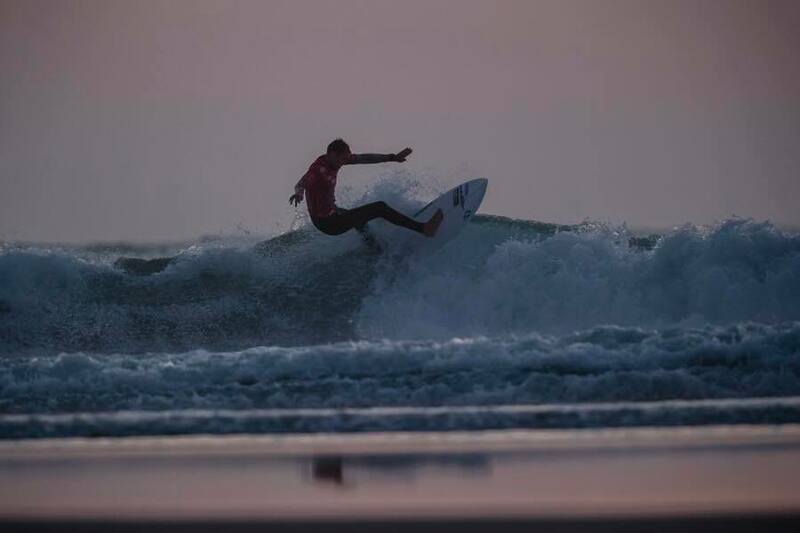 Boyd would progress with J-Bay resident Schroeder (GER) with a heat total of 6.77. 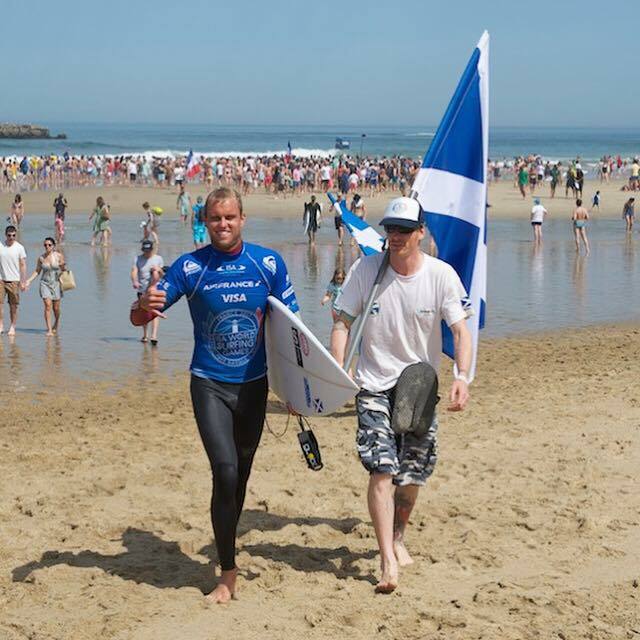 Boyd would surf in round 2 against one of the event favourites Vincent Duvingac (FRA). Boyd got off to an early lead with a 3.9 for a combination of backhand tags and backed it up with a 2.87 for one turn on a closeout. The 6.77 heat total wouldn’t be enough as the heat progressed and the lead was taken by Brandon Benjamin (RSA) and Lenni Jenson (GER) jumped into 2nd with a 10pt heat total. Duvingac would pull it out of the bag in the dying seconds with an 8pt ride to progress with Benjamin. Mens final was a fantastic display with WCT surfer Joan Duru (FRA) coming up just short despite nailing 2 air reverses in the heat. Eventual winner of the gold medal was Jhony Corzo (MEX). Jonathan Gonzalez got the bronze and Pedro Henrique copper – although tried one of the biggest airs of the event and had he landed it it could have been a different story! 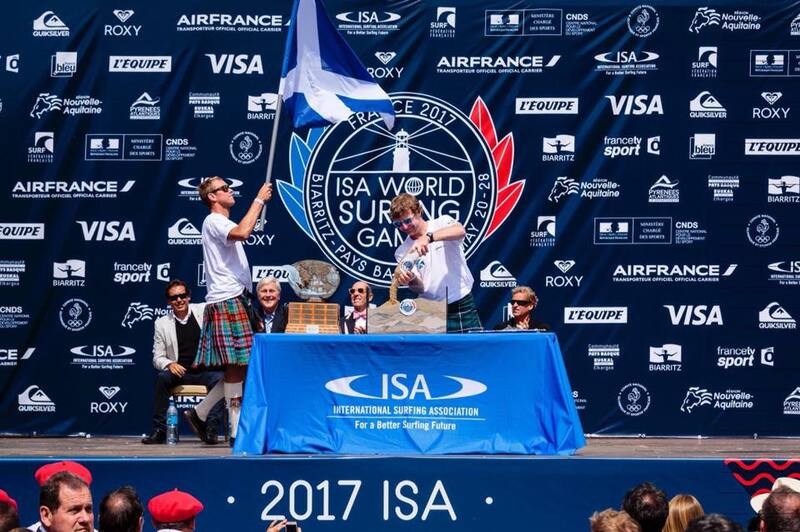 France took the overall team win and Aloha cup.